Built for Microsoft® Expression® Web our creative and unique web templates are packed full of functionality and include tutorials to walk you through getting your website completed. I've built websites on the side for many years now. I've used a myriad of different templates from different companies. Hands down, the buck stops here -- these templates are the best I've ever worked with. I put my son's baseball teams website together in about 4 hours on a Saturday afternoon. I continually add info and pictures, and each time I'm just impressed with the template layout and design quality. 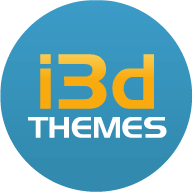 Exclusive to i3dTHEMES, this Expression Web Template architecture provides you a highly refined structure of validated, search engine optimized code. The future of the web is here with HTML5 and CSS3. Our latest generation dreamweaver templates are coded with the HTML5 symantec markup. Save time by taking advantage of the great features in Expression Web (Includes, Dynamic Web Templates). Our templates are editable in Expression Web 1/2/3 and 4. The web is has gone mobile, and so have our templates. Tested in iPad/iPad Mini, as well as ready for all shapes and sizes of mobile devices, our templates will have you ready for the mobile revolution. Get to work fast. Download your purchase immediately after purchase, day or night, 24/7. PayPal, Visa and Mastercard accepted. We believe you should love your website. What is Microsoft Expression Web? Expression Web is the next generation of web development software that was released late 2006 from Microsoft. Expression Web (EW) is the successor to the 'FrontPage' line of web development tools. Built specifically for today's web standards, EW helps to enforce W3C compliant XHMTL validated code. Although many of the FrontPage components created in using previous versions of FrontPage, EWD will not be employing such code-bloating features as FrontPage Navigation or other FrontPage 'web-bots' which required FrontPage extensions -- if you require FrontPage extensions for your components, EWD will still connect to servers that use FrontPage extensions; however, EW will not require your server to have FP Extensions as the FrontPage line of software has in the past. What are Web Templates for Expression® Web? 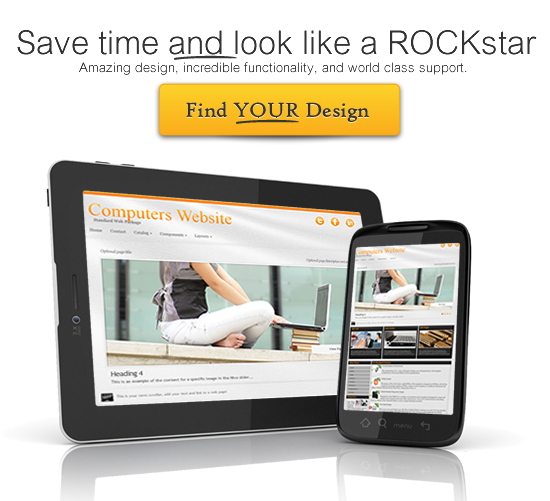 Web Templates are pre-built websites that are editable using Microsoft® Expression® Web. Designed using Expression® Web, our Web Template are fully validated for XHML and CSS. What is included with my Web Template when I purchase from i3dTHEMES? When you purchase a website template from i3dTHEMES, you get an immediate downloadable package of files which constitute a ready-to-go website. All you need to do is change the content, maybe some of the pictures, perhaps rename some of the pages, and then all you have to do is publish it up to the web. Included with each template is a set of written and video tutorials to walk you through the process of updating the website. We also have a support system which allows you to initiate a support ticket in the the event that you cannot find the help material you need within our system. What is a Dynamic Web Template (DWT) for Microsoft® Expression® Web? DWT stands for Dynamic Web Template -- essentially it is a way of having a master template layout which pages in your site are attached to. If you change the master layout, all of the pages are updated with that change. It also limits the ability to alter regions of your page which are marked as 'un-editable' so that you can work on your pages without the worry of 'nudging' something off track in the master layout. The capabilities provided with the DWT are highly recommended for anyone who has 10+ pages in their site. Can I open up a website built with FrontPage in Expression® Web? In a word, yes. In most cases, any website built with FrontPage can be opened with Expression® Web. There are some components from older versions of FrontPage that will not be editable in Expression Web, however the pages themselves can be edited as you would normally edit them in FrontPage.